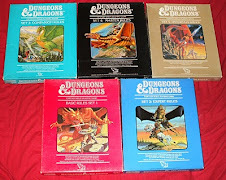 While it is not the intention of this blogger to try to undermine the legacy of Gary Gygax (I also dont think that was the point of the Cracked article), it is nice to see Arneson get the credit he deserves. Very nice indeed! Always a good thing to see Dave get a bit of the recognition he deserved.